Account > Extras > API. 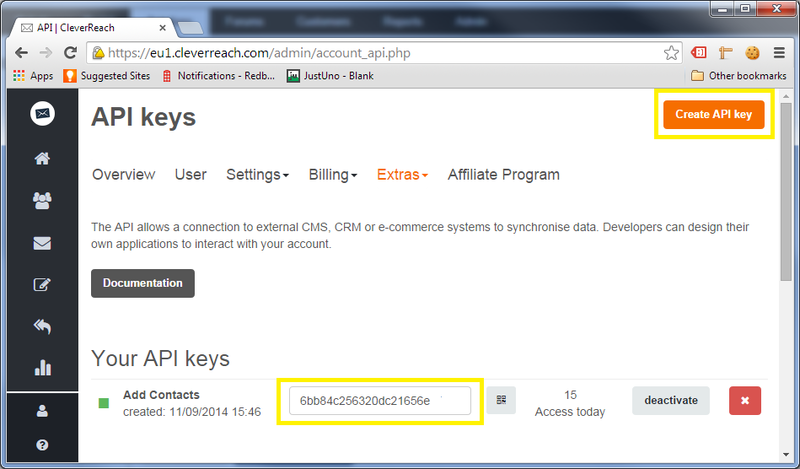 Click "Create API key" on the top right. Now you have an API Key that you can use with Justuno. Navigate to "Campaigns > Integrations > Email Marketing Apps" in the Admin portal and turn on the CleverReach integration. Log in and click "Promotions" and then select "Edit Integrations" next to the desired Promotion. On the "App Integration" tab, locate and click on the CleverReach "Connect" button to launch the configuration options. b. Select a CleverReach list and click "Save. 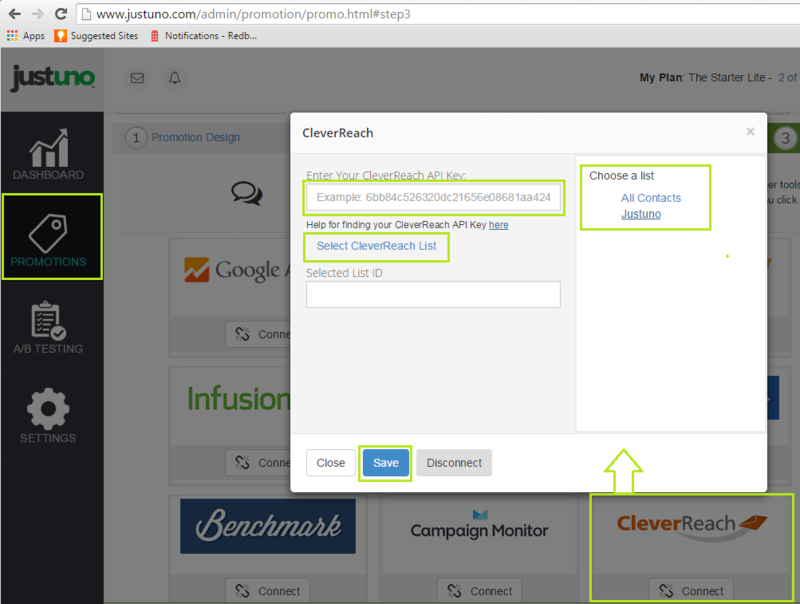 Your Justuno will now sync new signups to your selected CleverReach list as they come in!